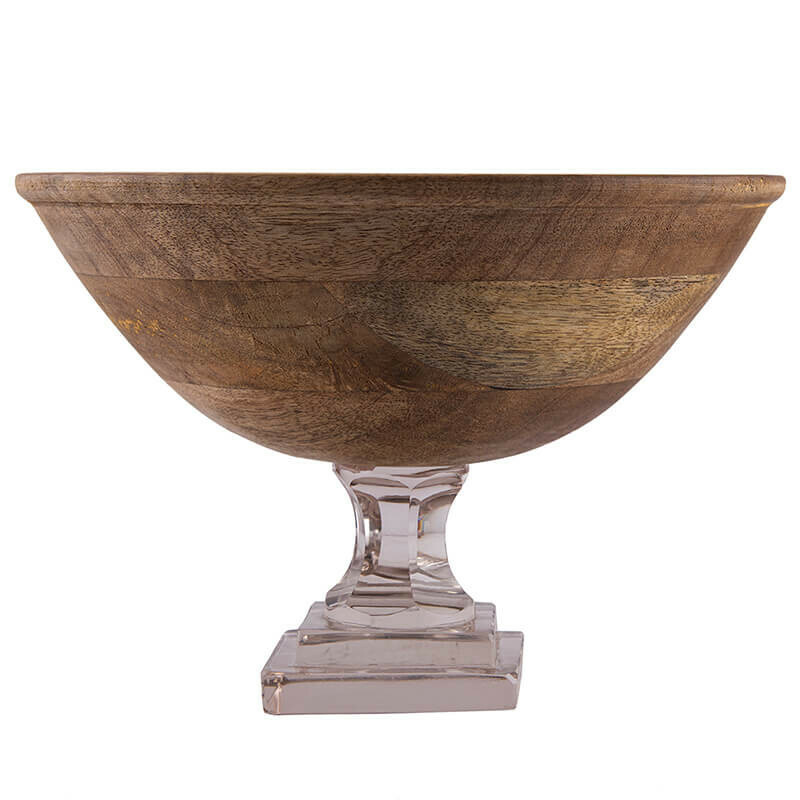 This spectacular mango wood bowl is hand-turned by the craftsmen and hand finished for a perfect rustic look. 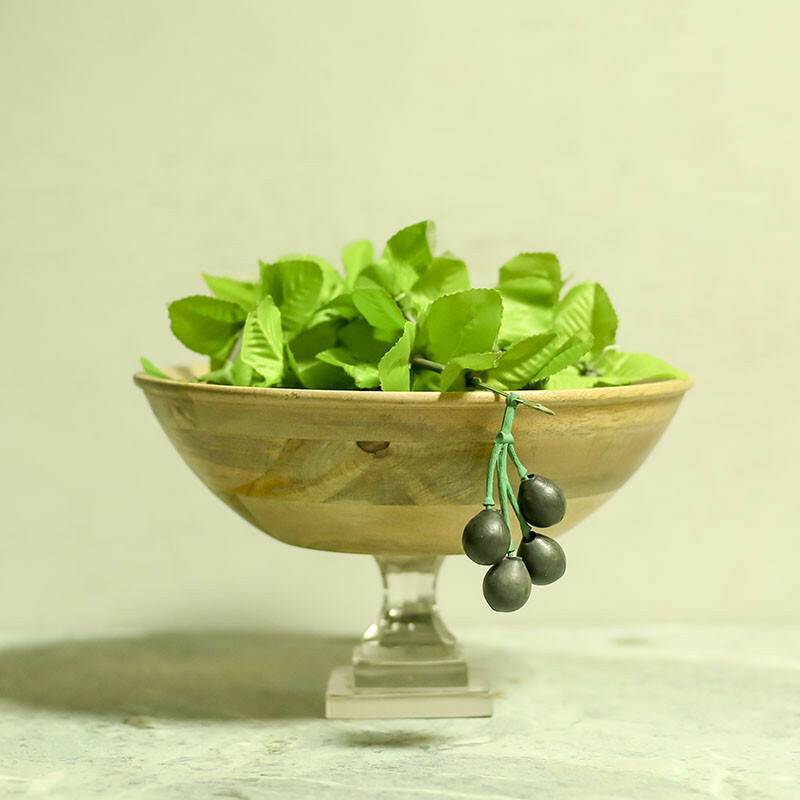 The bowl is complemented with a Glass stand base to raise the salads and elegance of the table. 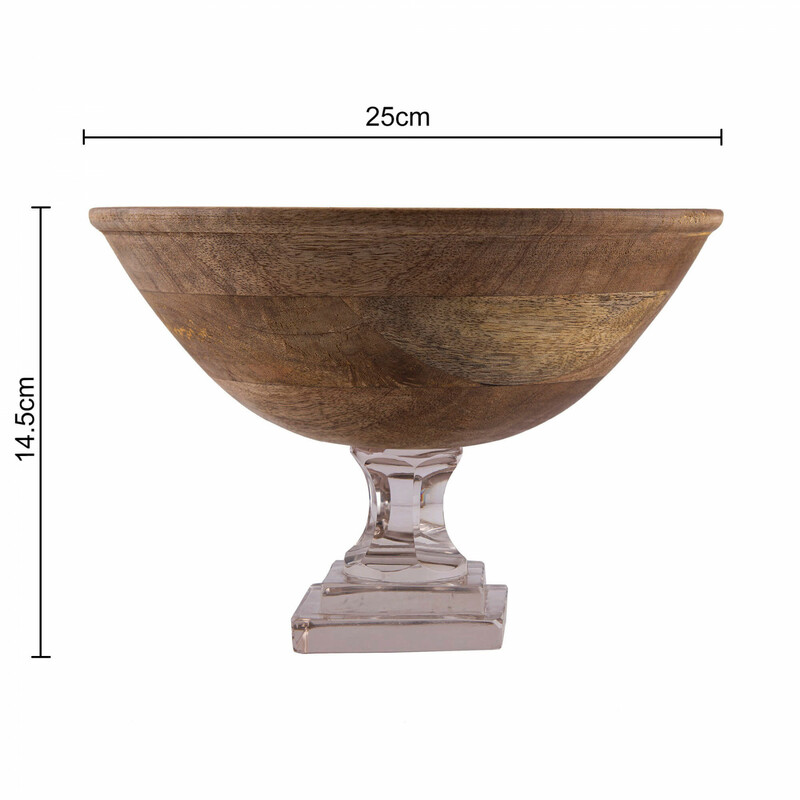 This bowl can serve a salad for 2 to 4 people, also makes a great center piece or popcorn bowl. Unique present for the holidays, weddings, house warmings and birthdays! Wood grain will vary. Hand wash only.